Compact in design, the MFC-J491DW packs more business features into the smallest of spaces. Print faster, work smarter, and cut costs effortlessly with this versatile inkjet printer. Enjoy quality, fast prints and high-resolution scanning, copying, and faxing all in one compact machine. 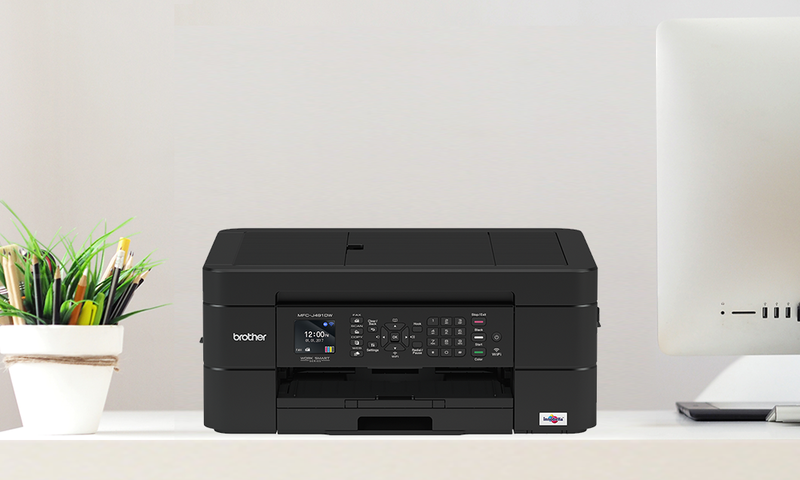 Seamlessly share your printer with your workgroup via integrated wireless connectivity. Printing and scanning with your device also become convenient with various mobile apps. Handle various paper sizes and thickness for your convenience with a 100-sheet standard paper tray. Easily scan and copy multi-page documents too with the 20-sheet Automatic Document Feeder (ADF).